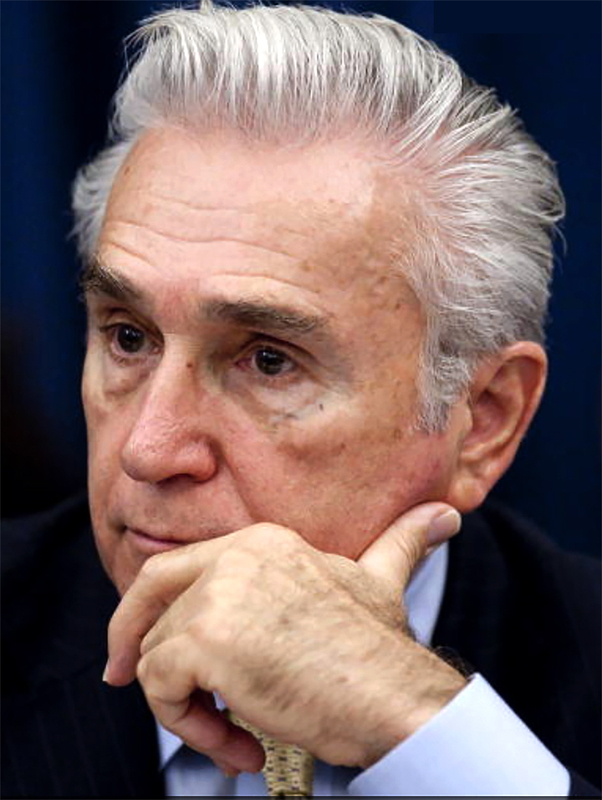 On November 22, Maurice Hinchey died. The most accomplished environmental legislator yet produced by New York State, he served as a member of the state Assembly from 1975 – 2002, and then as a Congressman from 2003 – 2013. I had the honor to work on his committee staff in Albany from 1979 – 1981. Maurice was my political mentor. My friends Chris White, and Manna Jo Greene and others have written beautifully about his work and life, and The New York Times outlined his career nicely. I write to add a bit of my personal experience. Maurice changed forever the environmental stakes in New York State. 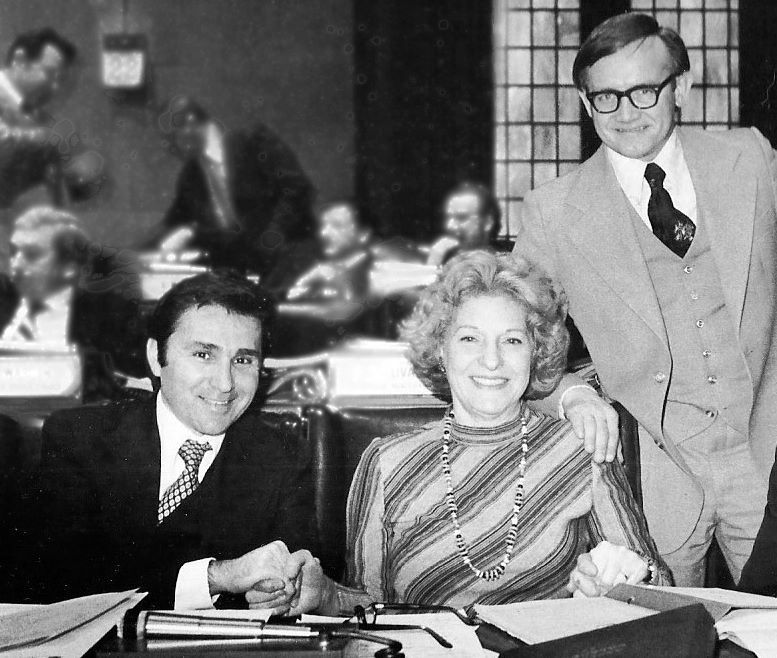 While chair of the Assembly Committee on Environmental Conservation he pursued corporations, organized crime and the United States Army with equal and unprecedented vigor. He sponsored Hudson River laws after generations of Senators and Assemblypersons had failed to legislate on the Hudson’s behalf. So smart and hard-nosed was he about his chairmanship, he was often regarded as more aggressive than our citizen environmentalists, no small feat in New York. The photo below was taken a couple of years before I joined the staff of Maurice’s Assembly Environmental Conservation Committee. He is welcoming to the Assembly Chamber the newly-elected Mary Rose McGee, who served from 1977-1978. Standing to her left is George Hochbrueckner, who served from 1975-1984. It is one of the great joys of my career that I often took the seat next to Maurice during the legislative session. Assemblyman Bob Connor, who was later assigned that spot after Ms. McGee left, usually kept to the Assembly lounge because he did not like to wear a jacket and tie, which were required on the floor. Maurice often flagged me to come down and sit in Bob’s place. In that grand room, I was infected by Maurice’s almost boyish enthusiasm for his place at the center of democracy. It made me want to run for state office. I enjoyed watching him debate. He was quick on his feet; not all lawmakers are. Once, when one of Maurice’s bills was up, a Republican member stood to contend absurdly that the proposed law would authorize a state agency to seize private property on its own authority. “Isn’t it conceivable, Mr. Hinchey,” he began, and then made his crazy case. “Of course, it’s conceivable,” said Maurice. Such an admission was not his style but then, without missing a beat, “Somehow, you just managed to conceive of it.” The laughter in the Chamber on both sides of the aisle ended the debate. When environmentalists agreed with him too readily he would sometimes grow irritated, and wisely so. We once called a meeting of local officials and environmental groups to discuss an erosion control bill Maurice was sponsoring. It was a companion to the Coastal Zone Management Act, which was laboring for support at the time. Mario Cuomo, then N.Y. Secretary of State, had become a vocal opponent of the coastal initiatives because of their possible curbs on local authority. During the meeting, the officials excoriated the erosion bill while the environmentalists enthused over Maurice’s support of it. Later Maurice told the environmental groups they should have been fighting him for a stricter bill. “You don’t always make things easier by agreeing with me,” he said. Because I lived in Poughkeepsie and did not want to relocate to Albany, I slept on the couch in Maurice’s private office. Building rules forbade it. I rose at 5 AM in the hope no one would discover. Many years after I left the Assembly, during Maurice’s last term in office there, I went by for a visit. “I have something of yours,” he said. He brought me to his closet and pointed to the top shelf where my sleeping bag was still stowed. He had kept my secret, and kept from me that he knew. I would have had to find someplace else to sleep had he acknowledged it aloud. As he was wont to do with anyone ambitious and loyal, he allowed me opportunities beyond my abilities so I could learn the ropes, which only pushed me to work the harder to earn his respect — on the Coastal bills and as part of the special staff investigating U.S. Army involvement in Love Canal. Maurice was the Hudson River’s first full-time legislative advocate. Years later, as Hudson Riverkeeper, I worked with him and his staff on the Hudson River Estuary Management Act. On the first day he saw the proposed bill he said, “We’re going to make this happen, this session.” And he did, personally walking the bill to the Senate to ask Republican Jay Rolison to be the sponsor there — it is the way of Albany that it takes a legislator in the majority party to make a bill move. Those who understand state lobbying know that the best legislators make things happen by scaling the artificial wall between the houses. Maurice never stood on ceremony when he wanted something done. Behind Maurice’s smile and amenable demeanor was a street tough. He may be regarded as a Saugerties-hometown-boy-made-good, but about him he carried the posture of the city, where he was born, as if he was ready at a moment’s notice to drop the grin and move into a fighter’s stance. He looked the part as well. Always natty, he reminded me of the Yonkers and Bronx guys I grew up with, who dressed to impress, but whom you never crossed. That inner tough guy came in handy when he decided to take on organized crime and toxic waste hauling. The nation, the state, myself and so many others, are the better for Maurice Hinchey’s life, particularly here in the Hudson Valley where his legislative achievements, such as the Estuary Management Act and the Hudson Valley Greenway, are, and will remain, a daily legacy for generations. When Maurice Hinchey passed, it had been years since I made the opportunity to say thank you. Thanks, Maurice.